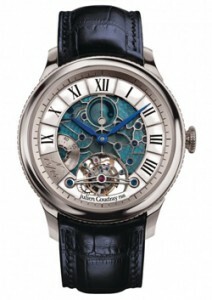 Julien Coudray watch company has released a collection of novelty Manufacturer. The model is equipped with an original dial, which is decorated with a pattern of enamel. 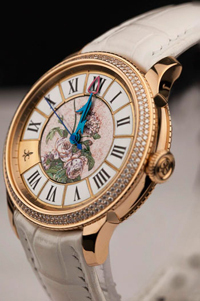 The image is positioned in the center of the dial, it is surrounded by Roman numerals patch, made of gold.